Each film coated tablet contains Tenoxicam 20 mg.
Tenorix is indicated for the symptomatic treatment of rheumatoid arthritis, osteoarthritis, ankylosing spondylitis, acute gout, tendinitis, bursitis, periarthritis of the shoulders or hips, post-operative pain and primary dysmenorrhea. For all indications (except primary dysmenorrhea, post-operative pain and acute gout) the usual recommended dose is 20 mg once daily. Tenorix is well tolerated in the recommended doses. The usual side effects are mild and transient gastric & abdominal discomfort, dyspepsia, heartburn, nausea, dizziness, headache, itching, erythema, rash, urticaria, increase in BUN or creatinine, edema and palpitations. In isolated cases GI-perforation, asthma, angioedema and elevated blood pressure may occur. Caution should be required in patients have symptoms of gastrointestinal diseases. If peptic ulceration or gastrointestinal bleeding occurs, Tenoxicam should be immediately withdrawn. It is necessary to adequately monitor the patient with increased risk of developing renal failure, impaired renal function in diabetics, hepatic cirrhosis and congestive heart failure. The safety of Tenoxicam during pregnancy and lactation have not been established. Concurrent treatment with salicylate or other NSAIDs should be avoided because of increased risk of undesirable reactions. Co-administration of Tenoxicam and Methotrexate has been associated with reduced renal tubular secretion of methotrexate. As with NSAIDs in general, Tenoxicam should not be administered concurrently with potassium sparing diuretics. Tenoxicam might attenuate the antihypertensive effects of a-adrenergic blockers and ACE-inhibitors. 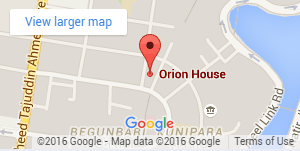 It may also enhance the effect of antidiabetic drug (sulphonylurea group). 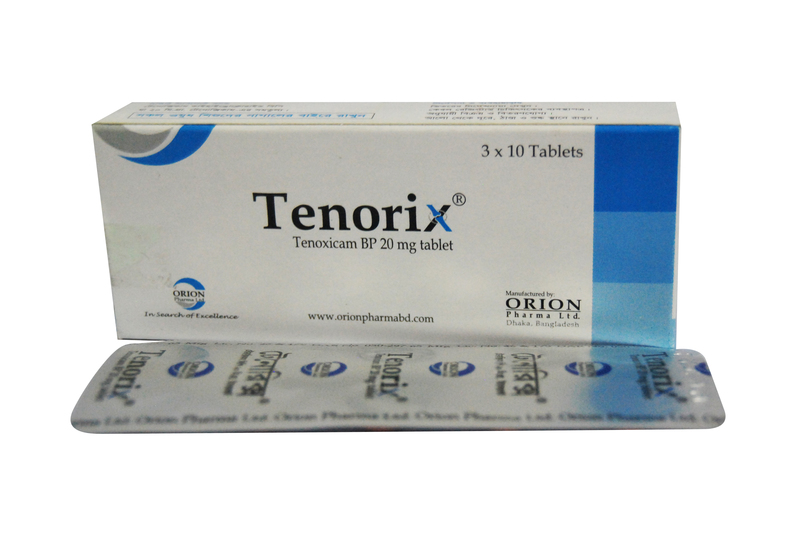 Tenorix Tablet: Each box containing 3x10 tablets in blister pack.